(a) Provide humane means of controlling the homeless cat population on ASU campus through the trap, neuter and return (TNR) process. (b) Find permanent loving homes for those homeless cats deemed adoptable. (c) Protect the health of human population at ASU by providing rabies inoculations for and continuing to monitor the health of those cats that have undergone the TNR process. (d) Educate the university populace about the responsibilities of pet ownership. (e) Provide resources to individuals who have lost an animal, found an animal, or are considering re-homing their pet. Resources are not restricted to the needs of felines, but shall be provided for any animal in jeopardy of losing its home. If you are interested in our bylaws, please click here. Mildcats desperately need foster parents. If you are considering or willing to help out in fostering, please respond using our "Feedback" page and click on "Want to foster/adopt" and leave a message on how to contact you. All your fostering expenses will be reimbursed. Check the fostering column on the Mildcats Record page to see the number of cats/kittens that require fostering. If you have any questions about fostering, please look up the link for Mildcats Fostering Guidelines. Members of Mildcats At ASU shall pay $10.00 per year in dues. Annual dues shall be deposited into the organization�s bank account to meet operation expenses. We also provide on online method of payment through PayPal. We now offer a convenient method to pay your donations to mildcats. Please use the following link to PayPal. General meetings shall be held at least once a month. Additional meetings shall be called as needed. Please take a look at an affiliated website Mildcats@ASU maintained by ASU students. 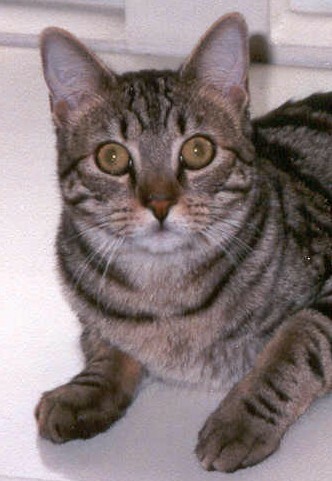 This website, www.mildcatsatasu.org , will be maintained where announcements of activities, photographs of the current and former cats on ASU campus, and interesting articles related to our mission are posted. Information on campus cats and feeding schedule are posted under password protected " Member Info". Mildcats is not responsible for the content of any external links on this site.